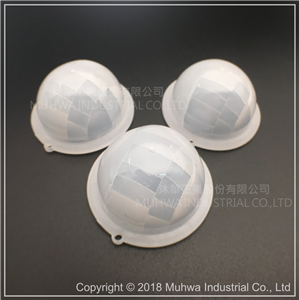 ﻿ Flat Fresnel Lens Factory, Company, Manufacturers - MUHWA INDUSTRIAL CO., LTD.
MUHWA Industrial Co., Ltd., a specialized Fresnel lens designer and manufacturer with an excellent reputation for quality (and capacity) as well as making sleek, modern lens designs. Muhwa owns all aspects of the process, from initial design to final assembly and validation, all under one roof. 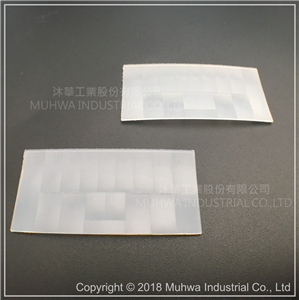 As a total solution provider, we provide customized Fresnel Lens one-stop shopping experience, for human body infrared induction, to clients from elaborating design to manufacturing. 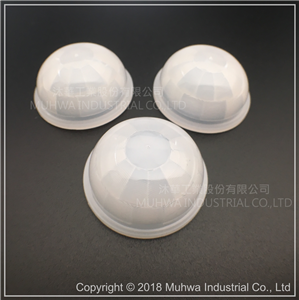 MUHWA was established in 1981, We have been focusing on the innovation of Fresnel Lens industry for more than 30 years and have made great contributions to the development of home intelligence and security industry. Our products are exported to North America, Europe, Japan, Korea, China, Hong Kong etc. And we consistently receive good appraise from clients all over the world. 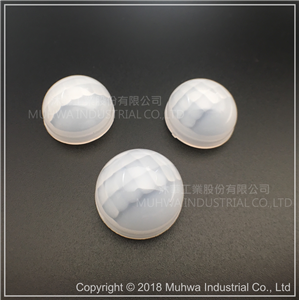 The headquarter of MUHWA is located in Taiwan, and the factory is located in Dongguan City, China. The factory covers an area of 5569 square meters. MUHWA has the masterly technology, advanced production equipment and professional teams to build our reputation. The business scope includes lens design, tooling, manufacturing, and validation. 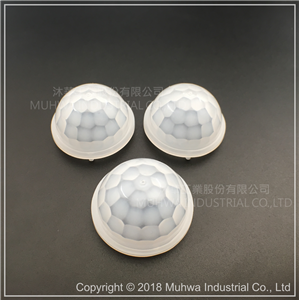 We can provide not only the best ODM and OEM processing but also our automatic testing chamber for you to test your PIR sensor products. With the improving our living quality, the industry of home intelligence become more popular. 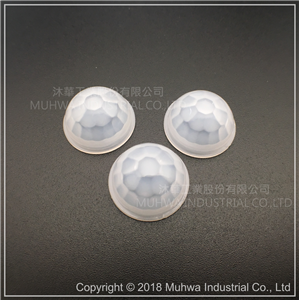 The application of PIR sensors can provide a long-term standby because of its low power consuming (a few microamperes). When the sensor detects the human body, the device will turn on automatically. This function can be used on such as lighting, Bluetooth, camera, wifi......and so on. However, a PIR sensor receives the infrared light emitted from the human body, and that´s where Fresnel lens works. For different functions on different products, we can provide long distances (1-40 m) and wide angle (0-180 degrees) to cope with the environments and to fit your designs. In the smart home applications, to match the beautiful surface of your products, Fresnel lens must be a flat or slightly curved, and the focal length must be short (10mm or less), so the lens design and manufacturing capabilities have become a great challenge! Our company focuses on “satisfying the customer, exploiting＆ innovating”, and keep innovating new technology and improving products´ quality to provide the best service for our clients.